In January of 2013 Casio unveiled their newest generation of Celviano products at the Winter NAMM show in Anaheim, California. They’d had great success with their previous line, which included the AP-220, the AP-420, and the AP-620. They were now releasing the next generation, which included the AP-250, the AP-450, and the AP-650. All three models were greatly enhanced from the last generation and featured some of Casio’s latest technology. 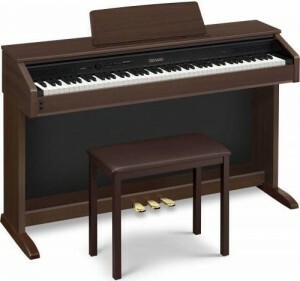 The Celviano AP-250 can be considered the entry level piano of the three, and sort of a gateway into other Celviano products. But truly it is entry level in name only, for the power and the capability it possesses is still far and above the quality of many stage and digital console pianos out there. 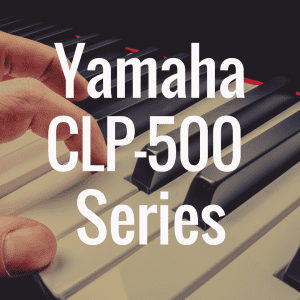 In fact, each of the three pianos in this generation are built to suit different needs, as some focus on a more simplistic presentation, while others provide larger options, even up to recording full 16-track songs. Below, please enjoy the interactive guide that was created to make your piano purchase easier. 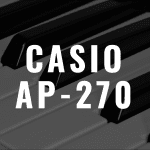 Compare the Casio AP-250 to the best pianos in its class based on weight, price, and even customer reviews from Amazon. The AP-250, just like all Celviano products, focuses on the elegance and class that you would find in a real piano, and brings it to a digital setting. None of this is more exemplified than by the beautiful color finishes available. The AP-250 comes in a nice, black wood tone finish, and a wonderful, oak wood tone finish. Each of these colors adds a bit of style on their own, and would fit perfectly with the décor of any home or professional situation. The beautiful construction of the piano can be surprising considering the ease of assembly needed for it. It’s well-known how difficult it can be to transport, set up, and maintain a real acoustic grand piano. 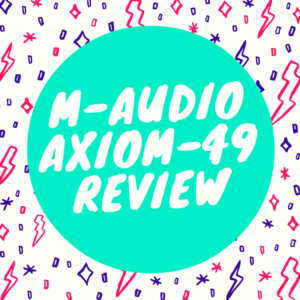 The AP-250 seems as if it was built to answer the exact questions of people in those situations looking for an alternative. If you choose to have it shipped to you it will come in a big box weighing around 150 pounds. However after you open it up and assemble it, it will only be around 85 pounds. Each piece is beautifully constructed so that no one would ever know that any person can put this machine together easily. The same 8-watt, 12 centimeter speakers return from the AP-220, and it’s only when you jump up to the AP-450 that you’ll see a change. The AP-450 has an amazing double 20-watt speaker system, and has no lack for power. However the 8-watt system in the 250 does a great job projecting the sound and providing a good performance. The thing that really brings out the power of the speaker system is Casio’s new AiR (Acoustic and Intelligent Resonator) system, which is a step up from the old AiF system. This is one of the main differences between the new generation of Celviano pianos and the old generation. The AiF Linear morphing system was actually pretty good technology. But the AiR system takes the tone generation to a new level, using more than three times the stored sample usage of the AiF system. 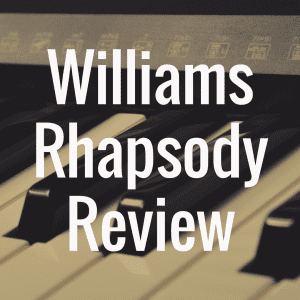 The result is an amazing, clear sound that incorporates four different levels of concert grand piano samples to produce the perfectly placed notes, no matter how heavy or soft you play. The AP-250 has a wonderful interface that incorporates class and design all into one. There are a limited number of knobs and buttons, so you shouldn’t be confused at all on how to navigate the machine. Other than the volume knob, there are a couple quick instrument buttons, which will allow you to quickly revert to the grand piano no matter what sound is selected. There’s also a function button which allows the pianist to control the complete operation of the piano by pressing it along with a key that corresponds to a certain action. For instance, to select a certain tone you would press the function key and the corresponding piano key, which is labeled discreetly on the console. You can control a number of functions such as the transpose function, the layer function, the split function, and Casio’s innovative Duet Mode. Duet Mode allows two people to play on two exact ranges, which is great also for student and teacher piano lessons. Naturally, the piano also comes with two headphone jacks to accommodate this. The sound of the AP-250 is absolutely magnificent. I was able to attend a showing where this digital piano was placed up against the sound of a real conventional piano, and I honestly can say that there were times when I wasn’t able to tell the difference between the two. The piano samples of the AP-250 have been meticulously put together to the point that the only difference you may hear is the acoustic disposition. A real piano is built for a large audience, but the digital piano will sound wonderful for a smaller audience or through headphones or an amplifier. The AP-250 also has a number of digital effects. There are four different types of reverb, which can create any kind of natural ambience, such as a concert hall effect or a smaller venue. There are four different types of chorus effect, as well, which serves to give the sound more character over a stereo platform. There is also some digital signal processing built into many of the tones. This digital piano does not have any MIDI in/out terminals, and chooses to communicate with external sources or machines deliberately through the USB port. The USB port is able to control all the MIDI capabilities, and will allow the AP-250 to act as a MIDI controller or connect to other MIDI devices. This is great for working with the piano’s two-track recorder, which has a 5,000 note maximum and will allow you to transfer recordings directly to your computer. Overall, I’m very impressed with the quality and functionality bundled into the Casio Celviano AP-250. For it having the label of an entry-level machine, I’m amazed that it provides so much. In my opinion, it’s more like an entry level into the more advanced stages of piano playing and production. It has a bit of a daunting list price of $1,400, but you should be able to find this digital piano for no more than $1,000. 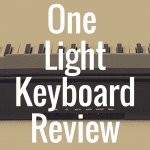 What Casio Digital Piano Is Best? 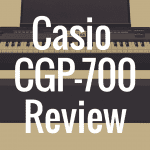 Casio PX-860 vs PX-850: Which is Better? How Much Polyphony Do I Need for My Piano?